Now that the weather is getting warmer, humidity is on the way. 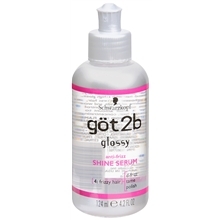 We tried Got2b’s Anti-Frizz Shine Serum to see how it did with frizz and it thought it worked pretty well. Since this product has conditioning agents, it makes it a bit different from other silicone based products. Our favorite way to use this serum was to use it to make sleek ponytails. By using it as a finishing product, it helps prevent annoying flyaways and frizz. 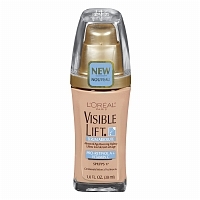 This is a very thick product, so a little goes a long way. For a ponytail, we thought it was best to use a dime size amount, rub our hands together, and then use them to smooth the front. 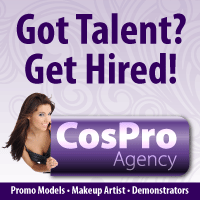 You’ll also want to make sure you apply evenly; you definitely don’t want globs of shine here and there! We think this product is great for those who have thick or very frizzy hair. If you consider your hair thin, Anti-Frizz Shine Serum may weigh your hair down. 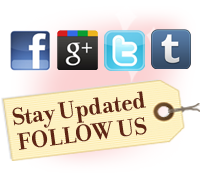 To see more posts about products that tame frizz click here. The primary purpose of La Roche-Posay’s Mela-D Serum Anti-Dark Spot Concentrate is to correct skin discoloration and even skin complexion. However, what we loved to most is how it improves the texture of your skin. Sometimes you don’t realize how clogged your pores are until you use a product like this. 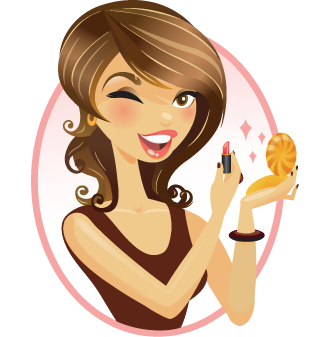 The product contains kojic acid and glycolic acid. This is one of the milder products we’ve tried with glycolic acid so it’s a good product for those with sensitive skin. The directions called for applying once a day during morning or evening, but if in the morning apply a sunscreen with a SPF of at least 15. In our experience, you get the most benefit out of using this product at night under your favorite moisturizer. It seems to make your moisturizer more effective. At almost $60 this drugstore product isn’t cheap, but in our opinion the product quality is as good as high end skincare lines such as Natura Bisse. We like to use this 3 times a week to maintain the great effects this serum has on our skin. 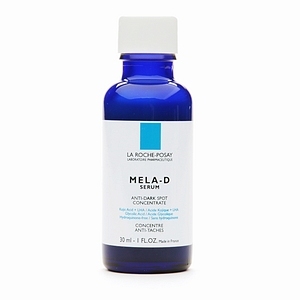 Click here to see our product review for La Roche-Posay’s Mela D Dark Spots, which you can use as a daily moisturizer. In terms of getting the job done with fighting aging, serums are the way to go. Many people ask what the point of using a serum is when you can always use a moisturizer with anti-aging ingredients. But the anti-age ingredients aren’t as potent when mixed with a product that is also tasked to moisturize your skin. So what goes on first, the serum or the moisturizer? You put the serum on first, and then the next layer is your moisturizer. When you have oily skin, sometimes a serum is a great way to have something to protect your skin and you can skip the moisturizer. We found that Lumene’s Excellent Future Deep Repairing Serum gave skin great texture and as promised reduced the depth of existing wrinkles. But what we liked most was that it’s fragrance free and 90% natural. We tried it on sensitive skin and didn’t see any irritation. If you haven’t heard of Lumene before, it’s a Finland based company that makes skincare from Artic berries and plants which are said to be very resilient. Times are truly changing. Just because a product is ‘natural’ it no longer means that it is ineffective. 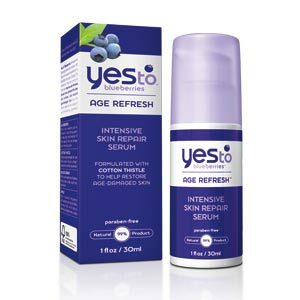 We really liked the Yes to Blueberries Age Refresh Intensive Skin Repair Serum, which is 99% natural and paraben free. You wear the serum under your moisturizer day and night. We found that it really works and saw results the morning after the first use! What we liked the most is that we got maximum anti-age benefits, but there was no greasiness. It made our skin smooth and supple and it was a big help with smile lines. So what’s in it? Yes to Blueberries contains organic cotton thistle (helps your skin create collagen), and antioxidants – blueberries, black currant, and apple. However, the scent smells purely of blueberries. A portion of all Yes To products go toward the Yes to Seed Fund, which encourages children to connect with their environment.